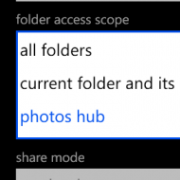 Folder name displaying problem under certain Windows Phone language settings now fixed. PIX2PPT now displays a large number of photos in grid layout a bit faster. New versions also include other minor bug fixes and improvements. FileTr2 now includes a much improved image viewer. Two-finger tap gesture now toggles "full screen" mode on file/subfolder listing pane. Built-in Share Server now creates "Thumbs.db" files while sharing Photos Hub images. We were originally working on "Thumbs.db" files for Windows 8/7/Vista. But, unfortunately, we failed to implement the appropriate file for those OS versions due to the lack of information on how file names are encoded in a Thumbs.db file. Anyhow, if you're using Windows XP and wish to access images in Windows Phone Photos Hub over Wi-Fi, you can now view thumbnails from File Explorer much faster! FileTr2 Share Server now properly updates file date and time when files are copied to Windows Phone. The new versions include minor bug fixes and improvements on built-in share server. FileTr2 Share Server can now be directly pinned to Start screen. Windows File Manager now connects to FileTr2 Share Server more quickly. Along with common Internet Shortcut files (.url), FileTr2 now also supports opening "Pinned Site Shortcut" files (.website) created in Internet Explorer 9 or higher. FileTr2 now has an option for listing hidden folders. It should be handy when you need to backup/restore all files and folders. 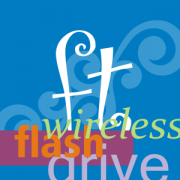 into a wireless flash drive! When you activate FileTr2 share server, your Windows Phone becomes a computer with a Windows shared folder. Thus you can access FileTr2 folders and files from any Windows 8/7/Vista/XP File Explorer; you simply need to enter FileTr2 connection address in Windows File Explorer. Once you're connected to FileTr2 from Windows File Explorer, you can use it just like a flash drive; copy or move files, create folders and etc. 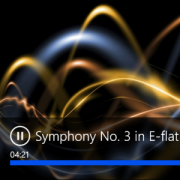 You can even run desktop programs or play media files directly off FileTr2! Click here to find out more about FileTr2!